CBG Biotech’s 2.5G Benchtop Supreme solvent recovery system is making an important difference in the undergraduate chemistry lab at Yale University—and it's not difficult to understand why. In early 2008, Yale took advantage of a trial program that was being offered by CBG to see what benefits they could expect from a solvent recovery system. Since then, the CBG solvent recovery system has recycled 100% of the considerable volume of acetone being used in this lab. Chemistry Senior Lecturer Christine DiMeglio has, on average, between 250–300 undergraduate students learning concurrently in her chemistry labs—all using glassware that subsequently needs to be cleaned with acetone by chemistry department lab management and student workers. Solvent recovery has reduced the amount of acetone Yale's chemistry department purchases by 90%, resulting in immediate cost savings. DiMeglio says that implementing a dedicated solvent recovery program has benefited the Yale chemistry department in other ways as well. Sustainability awareness: The process of recycling and reusing lab materials has increased awareness among lab students and workers. It allows them to see first-hand how much hazardous waste Yale prevents from entering the environment. By witnessing the impacts of solvent recovery, students can see that Yale is committed to protecting their futures. A reduction in hazardous waste disposal costs: The university pays for hazardous waste to be removed from its premises, and it also pays laboratory workers to manage solvent waste onsite. Having an acetone recovery system that drastically reduces the amount of acetone waste generated ultimately reduces the costs associated with waste disposal. 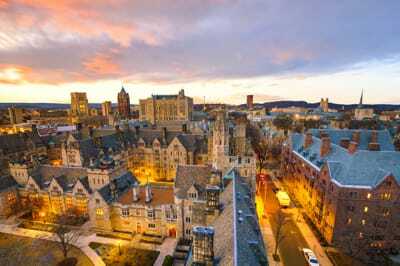 Yale is one of a growing number of universities pledging to operate in a more environmentally friendly, sustainable manner. Solvent recovery is an effective way to reinforce this pledge because it helps meet sustainability goals and improves lab processes. It's also an approach that brings safety, automation and more to various laboratory and industrial applications.